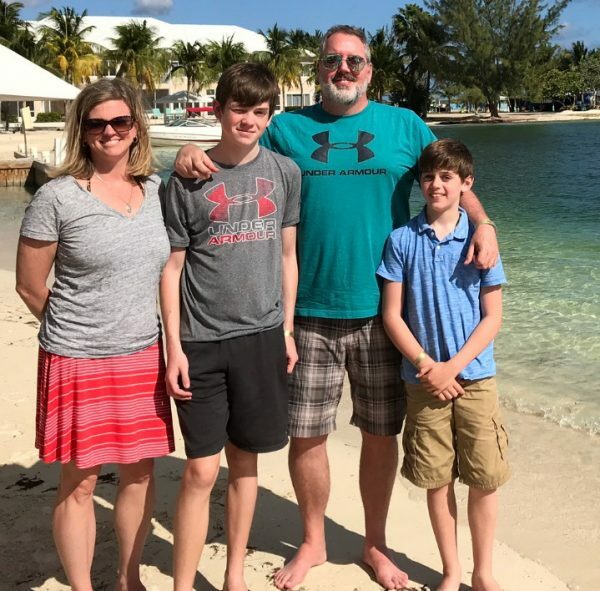 It’s hard to believe, but I had never been to the Caribbean before our Spring Break trip to Grand Cayman in the Cayman Islands. I’m more of a mountain girl than a beach girl, so I’d never put it tops on my list. But, since we’d never been and after a LONG cold Indiana winter, the Caribbean was sounding pretty great for a spring getaway! And I’m here to tell you it WAS great. 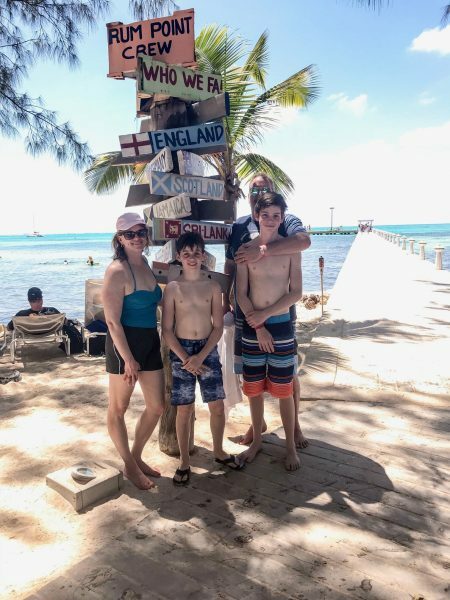 I still can’t get over the beauty of the water, and my family LOVED snorkeling and scuba diving, which is plentiful on Grand Cayman. 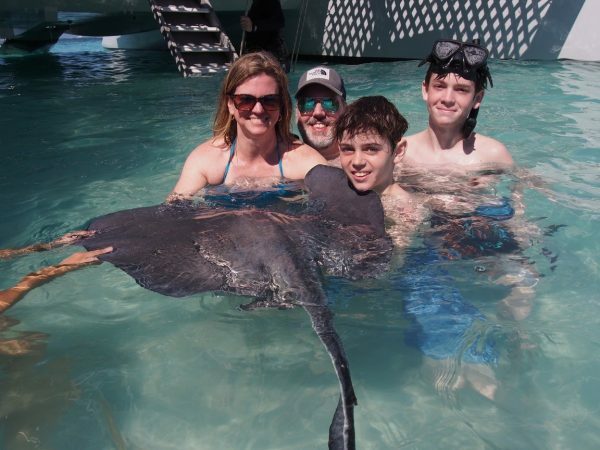 My family of four at Grand Cayman’s famous “Stingray City” in spring 2018. Yes, we’re holding a wild stingray! In February, Southwest ran a Caribbean sale and offered Ft. Lauderdale to Grand Cayman for ONLY 2,160 points PER WAY. That seemed like a deal we couldn’t pass up if we could just get from Indy to Ft. Lauderdale. The prices were too high for us to want to redeem Southwest points to fly from Indy to Ft. Lauderdale, as I’m sure everyone in the world heads there for Spring Break :). We needed to stretch the 50,000 Southwest points we were starting with (thanks to credit card referral sign-ups at the beginning of the year) in 2018 to get us part-way through the summer, so we weren’t willing to spend them for this trip. I don’t like to spend more than ideally 10,000 points per person roundtrip to fly anywhere. Instead, we’ll aim for a new destination or new dates or in this case fly a discount airline. We first considered driving, but a two-day drive sounded less than appealing and would take FOUR full days out of our spring break. My husband then suggested we look at a discount airline out of Indy to see if we could find a cheap flight. I do NOT love these discount airlines — and in fact will NEVER fly Frontier again due to repeated SCENARIOS of TERRIBLE SERVICE (can you tell I don’t like Frontier? ;-)) — but Allegiant, which we’d never flown, had a good deal, so we decided to try it. We ended up spending $680 for four of us to fly round-trip to Ft. Lauderdale WITH choosing seats and checked bags. While it was a tight squeeze on the plane (as in I could barely fit my computer on the seatback tray table! ), the seats are really flimsy and they serve you nothing, like no water or anything, it was a fairly quick flight and got us efficiently to where we needed to be! I’d do it again for sure. 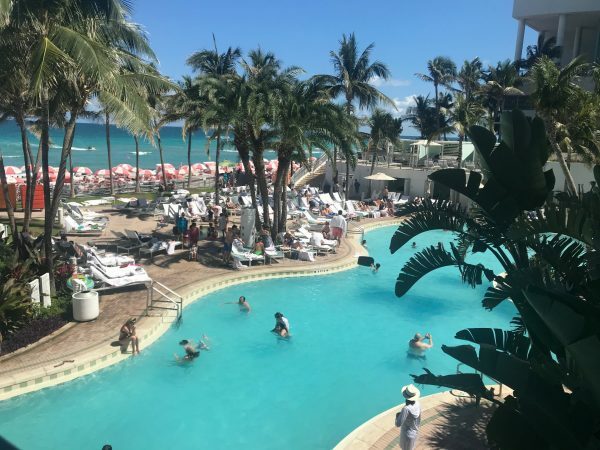 We also got to spend a full day enjoying the beaches of Ft. Lauderdale and checking out the lovely Diplomat Resort with gorgeous pools and rooms for a day! During the February Southwest sale to the Caribbean, we grabbed one-way flights for 2,160 points per way, flying out on a Wednesday and back on a Tuesday (our kids always end up missing a few days of school, so that we can get the lowest points price usually returning on a Tuesday or Wednesday :)). 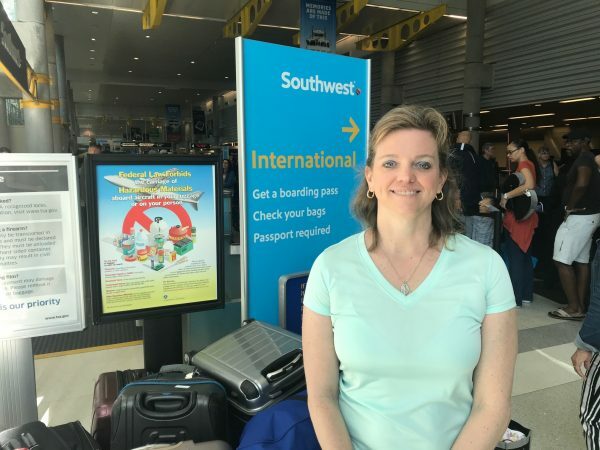 Using the Southwest Companion Pass (which lets one person fly free with you), my husband flew free, meaning we did not have to redeem any points or pay any cash, aside from security fees, for him. So that was ~13,000 points for all four of us to fly from Ft. Lauderdale to Grand Cayman. But… there are HIGHER fees than the typical $5.60 within the U.S. on flights to the Caribbean. The fees for Grand Cayman were $90 per person per returning flight. That totaled $360. To make the money we had to spend for this trip earn us a return in the form of future travel, we strategically used credit cards to pay for the fees. 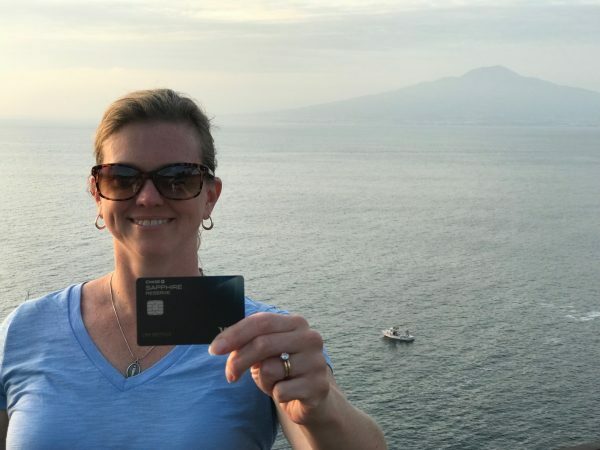 My husband holds Chase Sapphire Reserve (see my full review of this card), which earns 3X points on travel and dining expenses and gives you a $300 travel credit each year. The $680 spend also earned us 2,040 Chase Ultimate Rewards points, which we transferred to Southwest at a 1:1 ratio and used to help book a flight to Orlando for fall break :). We paid for the Allegiant flights using the Reserve card, and got the $300 credit back for this expense. 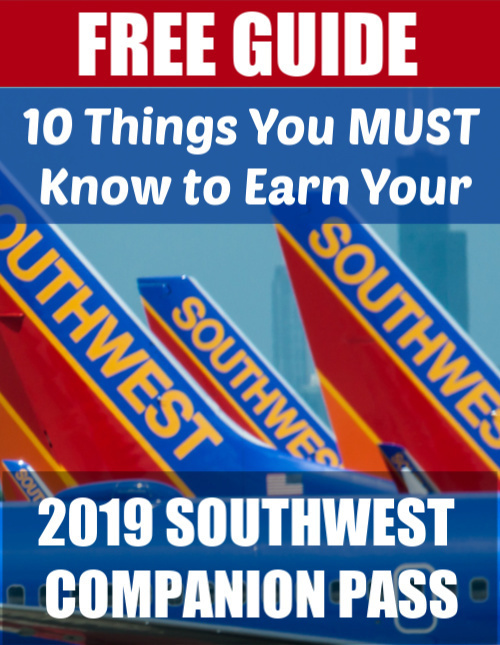 For our Southwest fees, we used my Southwest Rapid Rewards Premier card, as it earns DOUBLE points on Southwest expenses and those points ALL qualify for the 110,000 points you need to earn the Companion Pass. So those will go toward earning my Companion Pass for 2018. While my family usually likes to fly completely free, when you fly free most of the time, suddenly spending $260 per person once a year doesn’t seem so bad :). Thanks for using my TRAVEL CREDIT CARDS affiliate links in the main menu above to review and apply for any and all credit cards. My blog depends on this affiliate income and there is no additional cost to you! I greatly appreciate you taking this step.